This dry multi-tasking Hair Spray finishes any style with Texture and light hold, locking volume into place. 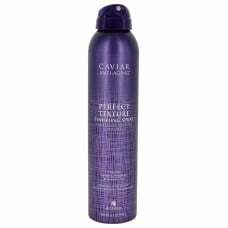 It's infused with the caviar extract, vitamin C and cytokines to help smooth the hair shaft and increase shine. Directions: Hold can 8-12 inches from dry hair and spray. Details provided by Alterna. Made in USA.